For other uses, see armor permutations. 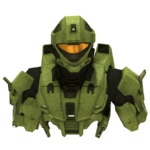 Armor permutations, as a feature in Halo 3, refers to the variety of armor pieces available for players' multiplayer character model. The feature is an improvement of Halo 2's player customisation feature. 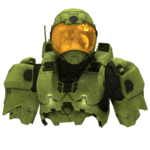 There are a total of 17 armor sets included in Halo 3, 12 of which for the SPARTAN-II character model and 5 for the Elite character model. These armor permutations are organized into three categories: Helmet, Chest and Shoulder. Certain armor permutations can only be unlocked by completing the game on certain difficulties, accumulate certain gamerpoints, or by obtaining certain multiplayer-specific achievements. The Bungie Armor is the only armor not obtainable by players as it is exclusively for Bungie employees. 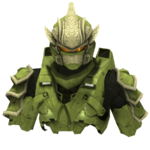 There was originally going to be an Arbiter armor permutation in Halo 3, but it was taken out before the game's release. 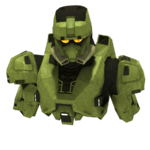 In Halo 3, the neck of an Elite (regardless what armor permutation used) is completely immune to any form of damage except for a shot from an overcharged Plasma Pistol. In addition, the projectile will simply pass through the neck, as though the neck wasn't there, without a blood spatter. This is because both Elites and Spartans have similar models. Many people speculate that hitboxes of the Spartans and Elites are shared but this is not true. While Bungie has officially commented on the hitboxes, they regard the size of the hitbox not the arrangement. Hitboxes are an unseen registry mechanic, which fall into the player models. They determine whether or not something has collided with the player. 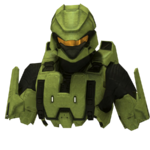 If an Elite is facing profile (sideways), and a shot is fired underneath the head (to where a Spartan's chest would be), the game will not register a hit. 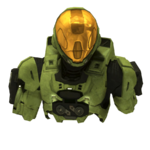 The head "hitbox" is forward more on Elites than it is Spartans. 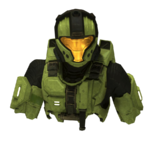 Four conceptual armor sets from The Art of Halo 3. The Scout helmet is visible. All of the Spartan Permutations in Halo 3. 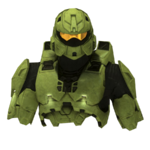 Note: If a part of the armor set doesn't exist, it has been substituted with its Mark VI counterpart. All the Elite Permutations in Halo 3. A recreation of a Sangheili Zealot on Valhalla using the armour customisation system. The glitched armor from Floodgate, It appears to be a combination of the front part of the Assault permutation and the back of the Combat permutation.